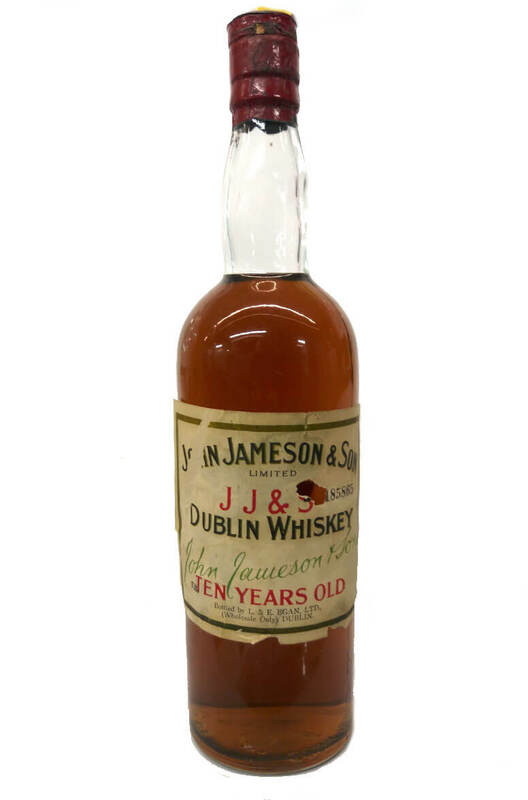 An old Jameson that is most likely from the 1930s or 1940s. This was bottled by L&E Egan of Arran Quay in Dublin. The label shows some wear and tear and the level is just above the top of the bottle's shoulder. Capsule and stopper appear to be in good condition.